CGC to Attend TRPS Concert Poster Show 10/20/18 in San Francisco! Two representatives will be on hand to accept submissions and answer questions. We have just received news that representatives of CGC will be attending the upcoming TRPS Concert Poster show to be held October 20, 2018 in San Francisco. 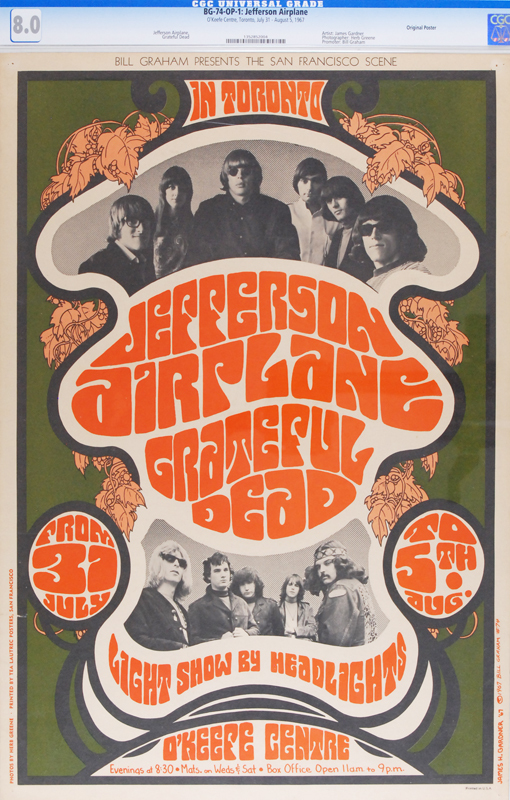 It’s no secret that vintage concert posters graded by CGC are setting records with breathtaking frequency so interest in this segment of the marketplace is at an all time high. All collectors are invited to submit posters at the show for grading and authentication. Representatives will also be available to answer any questions you may have.